We like our lines thick. 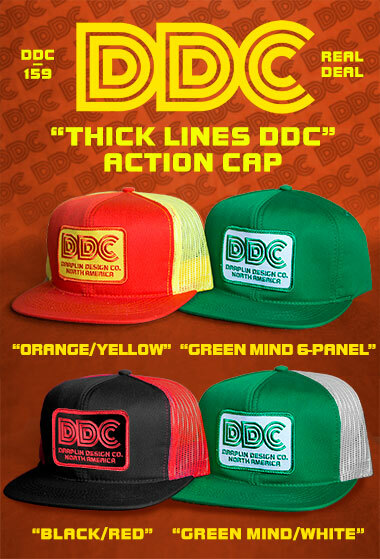 And we’ve been sitting on this thick lines “DDC” design for, hell, way too long. A decade? Hard to say. So we made a patch for the thing, then, made a hat out of it. No big deal. Bright colors. Hard to miss. Thick lines on the page. Thick lines on yer head. Same deal, really.